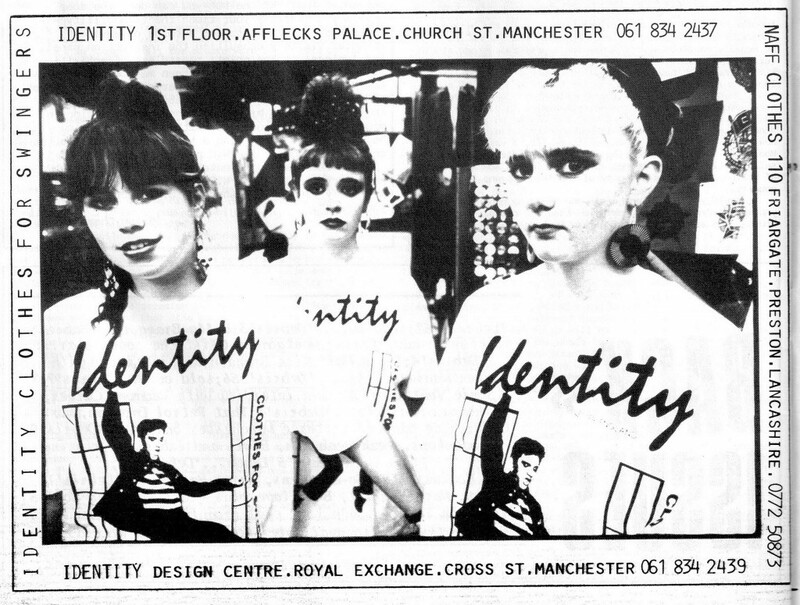 These ads for Identity clothes shops are taken from copies of Debris, an indie music fanzine, from the mid-80s. There are no dates on the fanzines, but the first ad comes from Issue 9 which also carries an obituary of actress Louise Brooks, so I think it must be from August 1985. 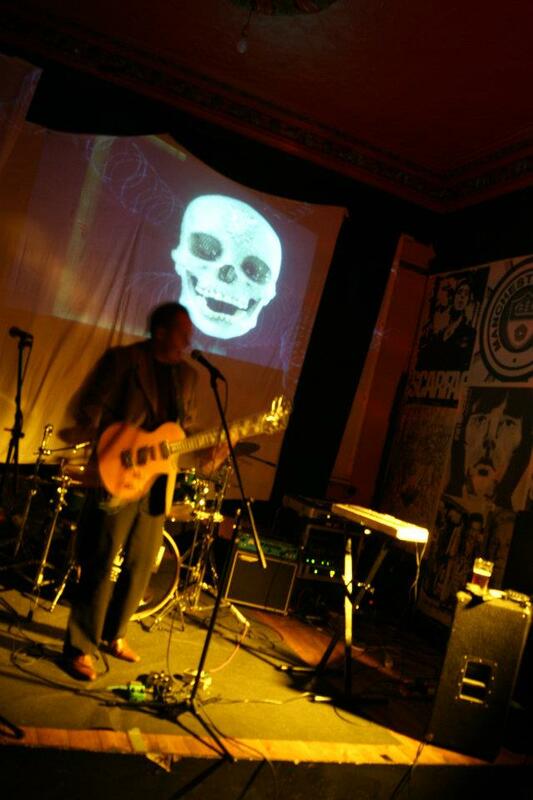 Afflecks was then, as now, a mix of shops and stalls selling clothes old and new, jewellery, music, posters and gifts; most customers were students, indie fans, goths or punks. Oasis was an underground market selling cheap new goods to anyone who would buy them; the entrance was just behind where the Tesco is now, halfway along Market Street. And the Royal Exchange Design Centre was an odd mix of antiques and small clothing companies producing their own designs; it was the poshest shopping destination of the three. 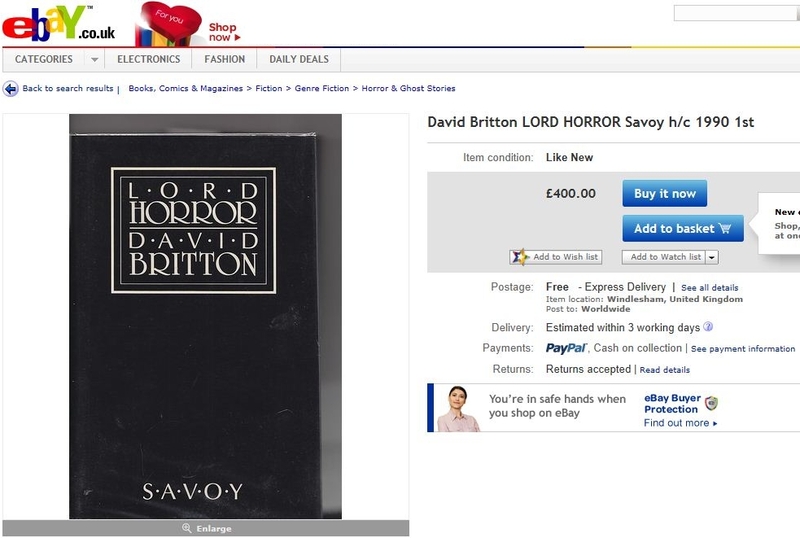 Co-incidentally, it includes a picture of Louise Brooks. We wore alot of second-hand clothes back then. Identity, along with other small independent shops, supplied new basic items which we mixed and matched with our second-hand stuff. 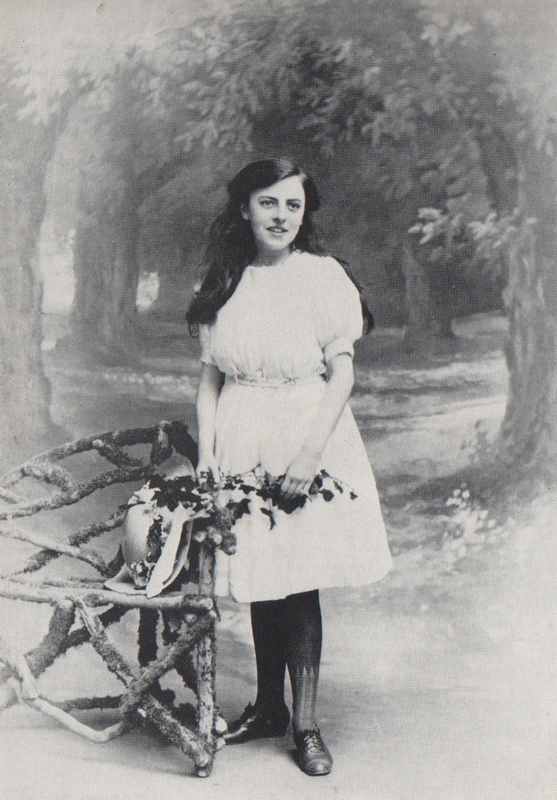 The girls also made clothes, like skirts and drop-waist dresses made with gingham and polka-dot cotton bought from Bachers on High Street, now a hotel. Afflecks Palace was where we bought second-hand Levi 501s and leather or suede jackets. The Rockabilly Look was really fashionable so anything with 50s styling was in. The boys wanted to look like James Dean, and for some reason the girls wore the same stuff as the boys, with the addition of red lipstick and big ear-rings. But Afflecks was more than just a shop; it was a place to hang out during the day. I was a Smiths obsessive in 1984, but by 1985 my interest had waned because they were just too famous… so I was listening to Pre-fab Sprout, Everything But The Girl, The Go-Betweens, Ten Thousand Maniacs, The The. 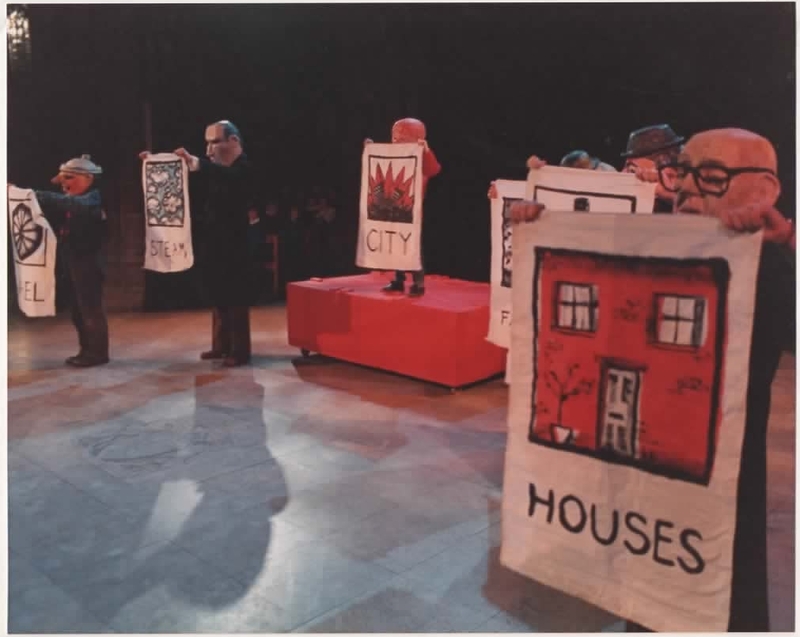 Lyrics ranged from depressing to suicidal, and the tunes were usually hard to dance to, but the fanzines focussed so intently on indie music that it was hard to find out about anything else that wasn’t in the charts. 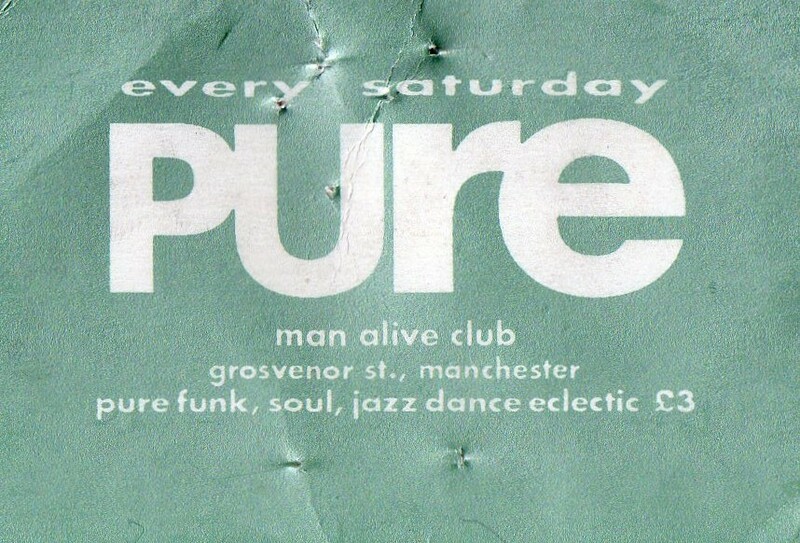 Something happened around 1986 which turned alternative music fans into habitual clubbers and I think it revolved around having cool places to hang out: Afflecks during the day and the Hacienda at night. We accidentally stumbled across a ‘lifestyle’ which was cool and which we could afford. 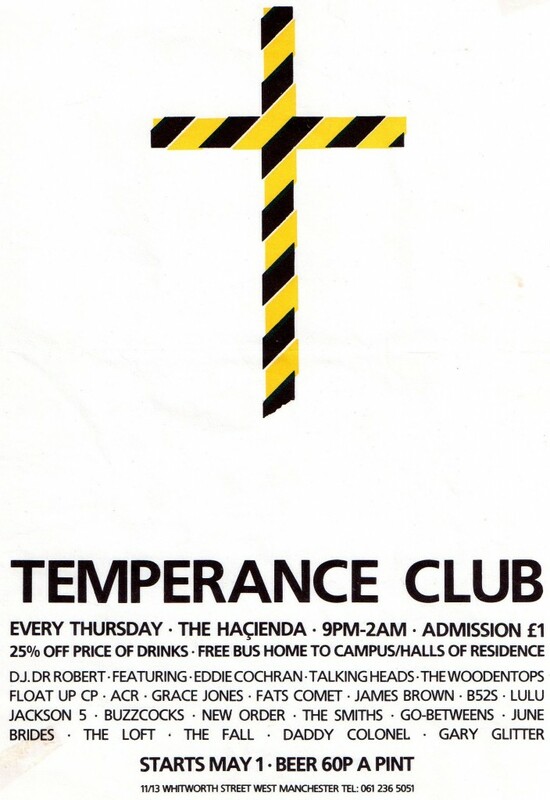 The Temperance Club on Thursdays first pulled me into the Hacienda on a regular basis, because it was cheap but also because the music was familiar and lots of my friends were going too. 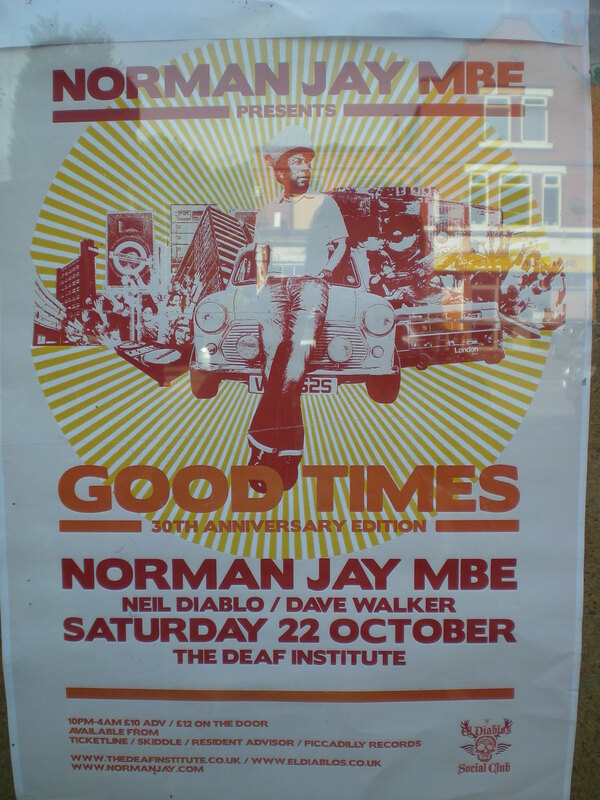 I didn’t realise at the time that it was run by Dave Haslam who also ran the Debris fanzine. 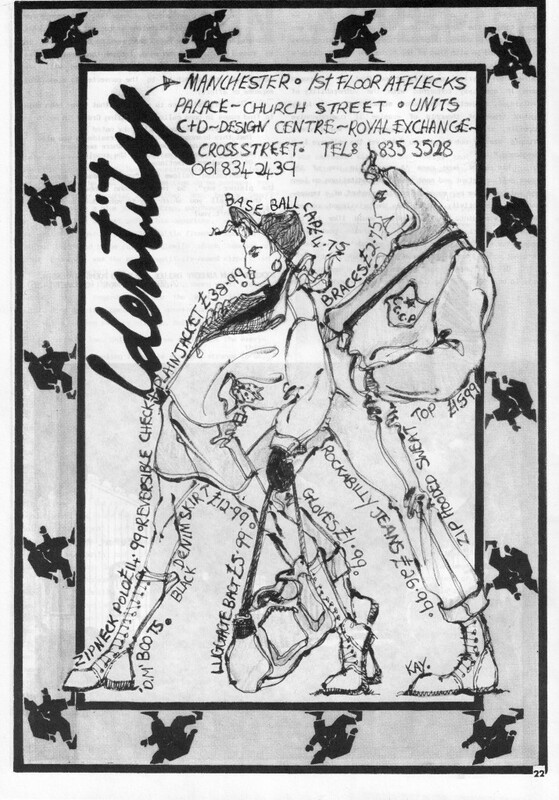 We would see them in the Hacienda and refer to them as ‘the Identity girls’. 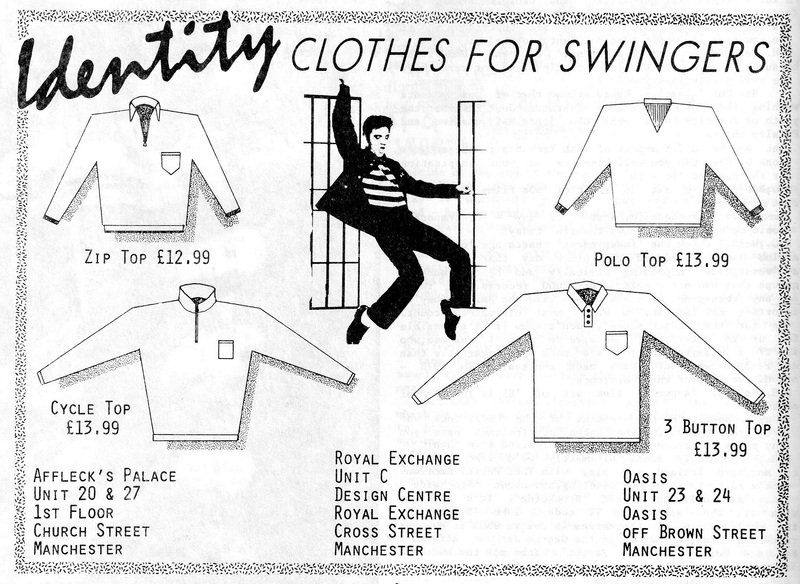 Infact lots of faces from the independent clothes shops would crop up in the Hacienda. It didn’t wash very well so I didn’t get much wear out of it. A more successful purchase was my navy ‘cycle top’ which was made of sweatshirt material and was the same style as many fleeces are now, with a zip-up collar. This last ad is from Issue 15 of Debris – I’m guessing it’s from 1987. Identity seem to have dropped their unit in Oasis by this time. I was always surpised that a Manchester band chose to call themselves ‘Oasis’ because that underground market was a real dump. I didn’t know for years that Oasis Market was most likely named after The Oasis Club which was as important during the late sixties as the more infamous Twisted Wheel. 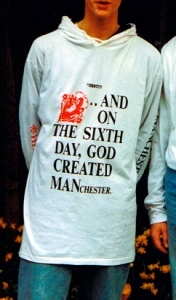 A modern incarnation of Identity seems to be selling a version of the ‘And on the sixth day’ t-shirt at http://www.store.identity-manchester.co.uk/ although the website seems to be ‘under construction’ so proceed with caution. 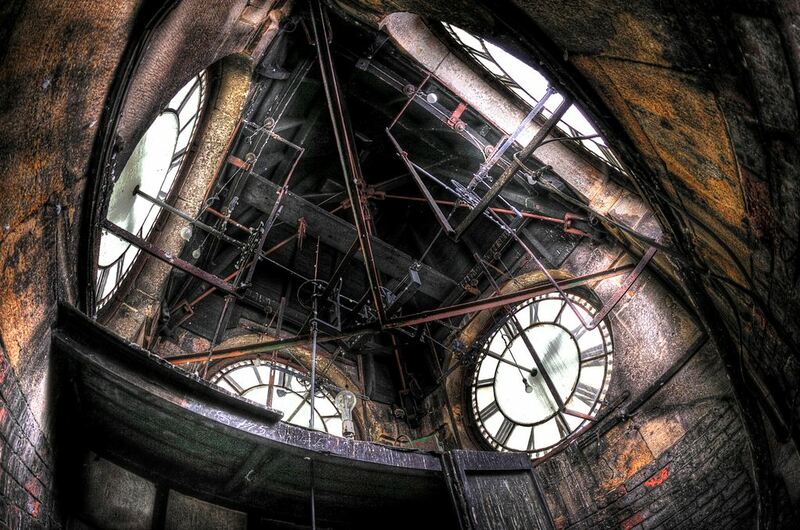 The Hacienda opened on May 21st 1982 and closed on June 28th 1997. Afflecks Palace opened in 1982 and is still going strong, even though the lease changed hands in 2008: http://www.afflecks.com/. THAT WOULD BE BRILLANT THANKS! 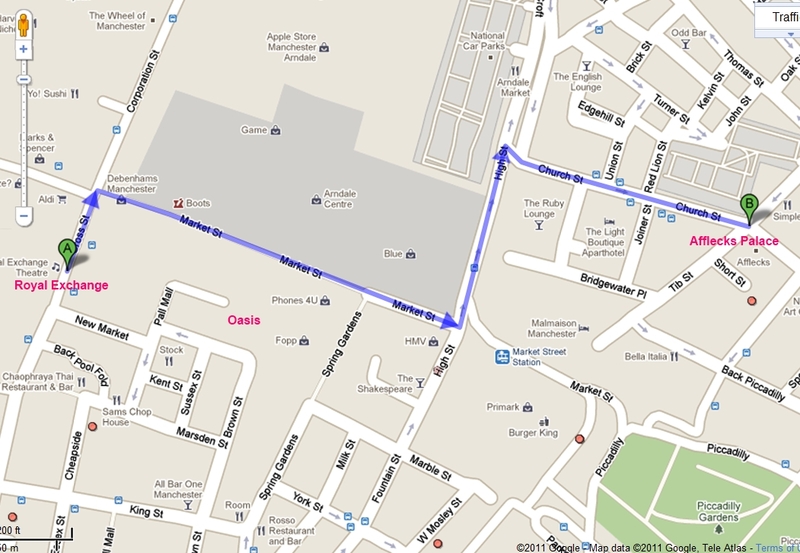 !the shop was near to the exit of the market opposite Lewis’s….much appreciated for asking for us. have you managed to speak to the family opposite your parents? Apolgies… I haven’t been round there for a few days but I’ll make a point of going and asking in the next couple of days. cheers!do you remember the market?the mad badge/tape store!? Matthew – I’m so sorry I forgot to tell you at the time. I did go round and speak to the family I mentioned, and left my details, but they didn’t get back to me with any information. I’m really sorry. Wow !!! I too had one of those “on the 6th Day” tops. It wasn’t a hoody type but it had incredibly long arms to keep my hands warm. I remember wearing it to a James gig at Blackpool’s Winter Gardens where an amazingly gorgeous girl took a real shine to it (not me). I always look for one whenever I’m in Afflecks or similar shops but I can never find a replacement. Affleck started off at the back of Kendal Milne on a little side street. AM I right? Think it was near Berlin? 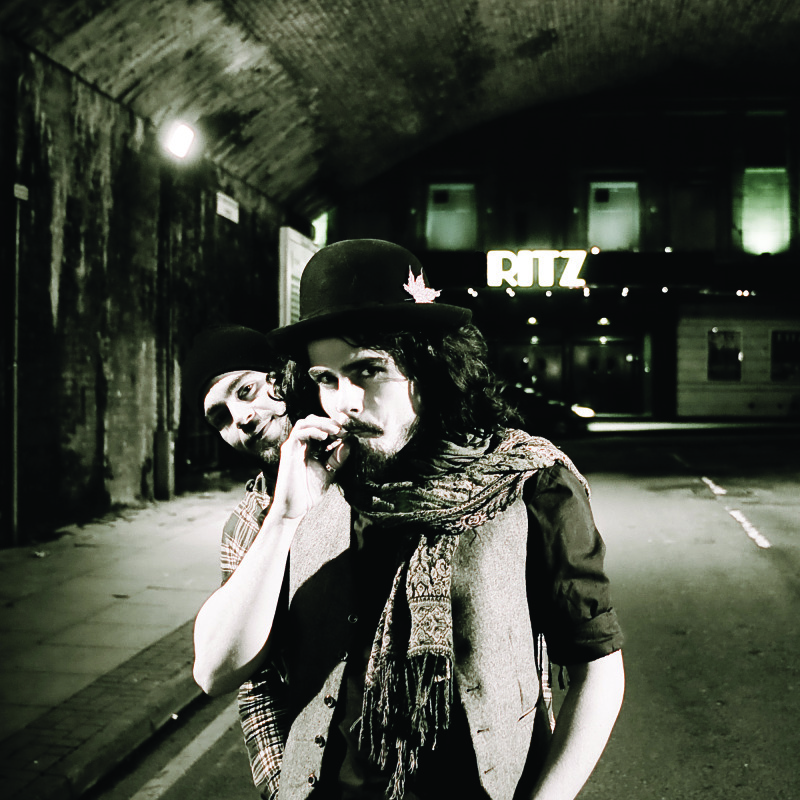 hi matthew – my mum and dad live opposite a family who had one of those jeans shops in the underground market. i’ll ask them about it and get back to you. best wishes, urs.